A monthly Welsh language periodical that published literary, antiquarian and historical articles alongside domestic and foreign news and poetry. The periodical was jointly edited by Rowland Williams, Richard Richards and Robert Phillips until 1826, by Williams and Richards until 1830, and subsequently by Williams, Richards and John Phillips (Tegidon, 1810-1877). 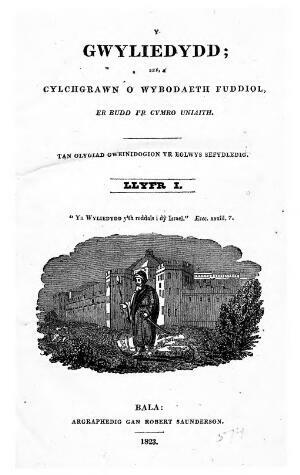 Associated titles: Cyfaill y Cymro (1822).